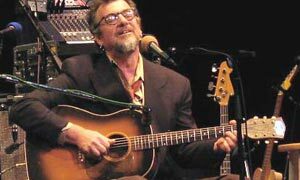 Tune in at 4pm Friday on The Home Stretch for archival broadcast of Greg Brown's Studio 2A performance from 2006. Brown sat down with KXCI's Laurie Starr to play some tunes and talk about his friendship with Tucson's own Rainer, his daughter Pieta Brown and his unique take on writing, recording and performing. Greg Brown plays The Rialto Theatre this Sunday, January 13th at 7pm, KXCI Presents!